This bistro is in what was formerly the more up-market French eatery Entrecôte City. 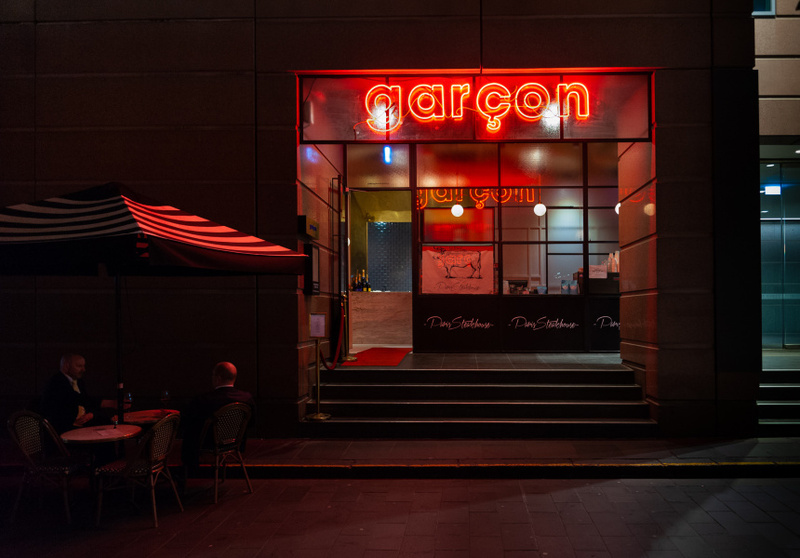 Garçon (French for waiter) is by the same owners. 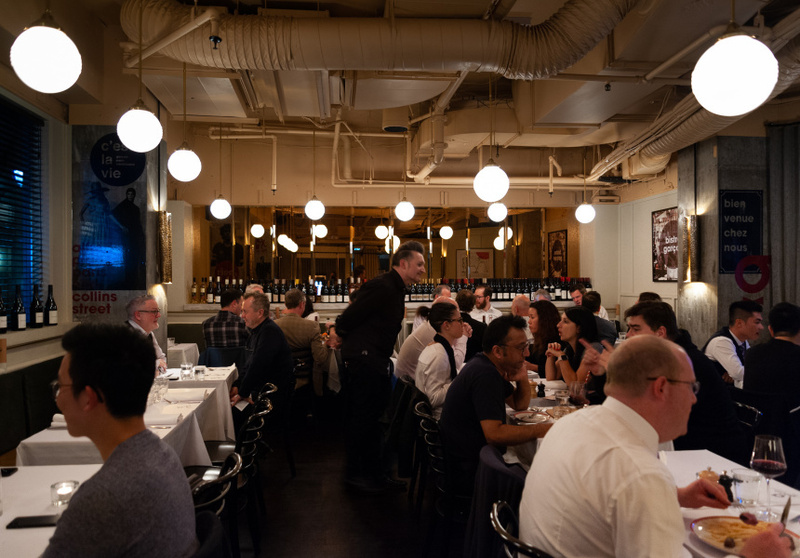 The menu is a close reflection of the restaurant’s former steak-centric life. The signature dish is steak frites, which includes a grass-fed, 250-gram Angus porterhouse from Cape Grim in Tasmania; Cafe de Paris butter; salad leaves, radish and onion; and a bottomless supply of frites (for more, just ask garçon). It’s all a bit of “Franglais” (a blend of French and English) fun – Garçon is not pretending to be authentically French. There’s also escargot in garlic butter, goat’s-cheese soufflé, seared lamb rump with ratatouille, and plenty of cheese and wine, with drops coming from Australia, France and New Zealand. 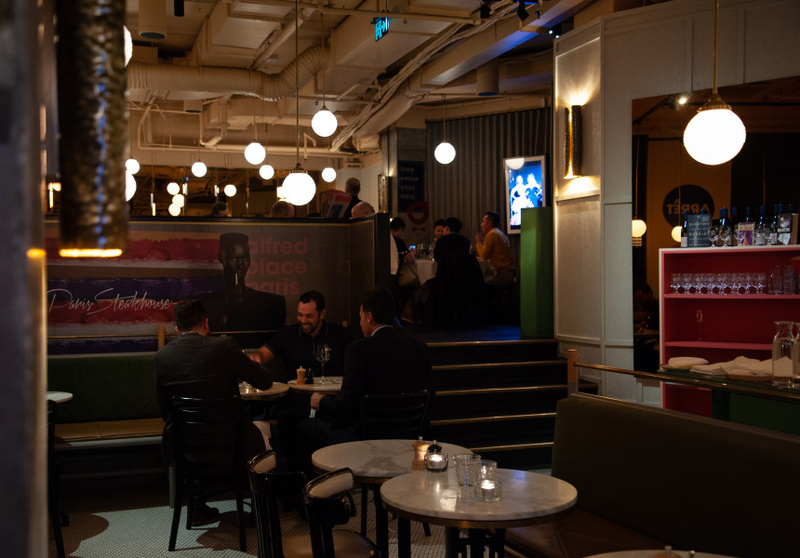 Some ’80s murals (one of Grace Jones, another of Yves Saint-Laurent and Pierre Cardin) and bold red and blue graphics are part of the decor. There is also casual seating opposite the bar, well suited to a Sazerac (absinthe, rye whisky, cognac) and a plate of Coffin Bay oysters. Up a few steps is a more formal dining room with white-clothed tables and tan banquettes. Exposed beams overhead prevent the space from feeling too stuffy. Oversized light bulbs, beaten-copper fixtures on the walls and a sea of bronze-tinted mirrors burnish the space with a hazy orange glow. It’s a spot you can really get comfortable in.